1. 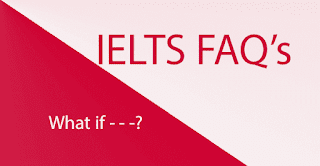 What does IELTS mean? IELTS stands for: International English Language Testing System. 2. How many skills are tested in the IELTS test? There are 4 skills tested: listening, reading, writing and speaking. 3. Which is best, IDP or British Council? See this page for tips and advice about where you should take your test: IDP or BC? 4. Does the IELTS test accept American English? Yes, it does. It is an international test of English. However, most examiners in speaking are English or Australian and may not be familiar with very modern American terms. 5. Which skills do I take on the same day? Listening, reading and writing are all taken on the same day. The speaking test can be taken either before, after or on the same day as the other skills. 6. Is there a break between the reading and writing test? No, there is no break between the listening, reading and writing test. They are all taken together and take a total of 2 hours and 40 minutes. So, make sure you eat and drink well before you take your test. 7. Can I use a pen in my IELTS Test? You can use a pen or pencil for your IELTS writing test. However, for your listening and reading test, you must use a pencil (don't forget to take an eraser with you). 8. How many times can I take my IELTS test? You can take it as many times as you want. There is no limit. 9. Can I wear a watch in my IELTS test? No, you can’t. You can’t wear a watch in any of the IELTS tests, even the speaking test. There will be a clock on the wall so you can check the time. 10. What happens if I am colour blind? You should contact your IELTS test center before the exam to let them know. They will adapt any colour pages or illustrations for you in the test. 11. How long does it take for my test results to arrive? Your results will be posted to you 13 days after you have taken your test. It is possible to get your results by sms or online at some test centers. Contact them to find out. However, there are times when results are delayed longer than 13 days. 12. How long are my IELTS results valid? Your IELTS results are valid for 2 years. 13. Can I get my IELTS test remarked? Yes, you can. In 2014, it costs around 100 usd to get your test remarked. It is the same price for all 4 skills or just one. You should contact your local IELTS test center to get the form for remarking.If your results change and your band score goes up, you will get your money refunded. You have 6 weeks after taking your test to get your test remarked. Your test will be remarked by a different examiner. It takes about 6 to 8 weeks for the results of your remark to arrive. Alternatively, you could take your test again. 14. If I take IELTS twice, which result can I use? You can use the test in which you scored the highest as long as the result is still valid (which means as long as it is not more than two years old). 15. My IELTS results have not arrived and it is longer than 13 days late? Why has this happened? If your results have been delayed, you just need to wait and be patient. Your results will arrive but there is no fixed time limit. Some students receive their results within just one week or a couple of weeks. However, for others, it might be longer – a month or even 3 months. 16. How many sections are there? There are 4 sections in the IELTS listening test. Section 1 and 2 are based on social situations while sections 3 and 4 are academic. 17. Does everyone take the same test or are there different listening tests? There is only one listening test for everyone. 18. How many questions are there? There are a total of 40 questions in the listening test. 10 questions in each section. 19. How long is the listening test? The IELTS listening test lasts for 40 minutes. You listen to the recording and answer the questions for 30 minutes. After that you have 10 minutes to transfer your answers to the answer sheet. 20. How many times will I be able to listen to the recording? You only get a chance to listen once to the recording. So make sure you prepare the questions well and that you concentrate. 21. What is the listening answer sheet? You will have time to transfer your answers to the answer sheet when you have finished listening. You will have an extra 10 minutes to transfer your answer to the answer sheet. You should practice using the answer sheet at home before you take the test. 22. How can I find my score for listening? 23. Do I lose a point if my answer is wrong? No, you don’t lose a point for a wrong answer. So, never leave an empty space on your answer sheet – always have a guess. 24. Do the answers come in order? It depends on the type of question. For some questions the answers are in order, for other types they are not. Read through my blog to find out. 25. Will I have time to read the questions before I listen? Yes, you will be given some time to look over the questions before the recording begins. Use this time wisely. Read the questions, underline key words and think of any possible paraphrases you might hear. They will tell you how many questions to read through “you will now hear questions 4-10….” – this for this information to make sure how many questions you must read through before the recording starts. 26. Can I write on the listening question paper? Yes, you can. You can make notes, underline words and write on any part of the question paper. Only your answer sheet will be marked. In fact, it is very useful to make notes on your question paper and can help you locate answers. 27. Can I have extra paper for making notes? No, you should use the question paper to write on while you listen. 28. Are capital letters important? Yes, they are. If it is a name, a place name or a month, you will need to write a capital letter at the start of the word for the answer to be correct. 29. Can I write all my answers in capital letters on my listening answer sheet? Yes, you can. Sometimes this is a good idea because usually your writing will be easier to read and also you avoid the problem with remembering to put capital letters at the beginning of proper nouns. 30. Should I use a pen or pencil? For your listening and reading test, you must use a pencil. so don’t forget to take an eraser with you. However, for writing you can choose either pen or pencil. 31. In multiple choice questions, can I write words or do the answers need to be letters? It is very important that if the instructions ask you to choose a letter, then your answer must be a letter not words. Read the instructions very carefully so you don’t lose points. 32. What accents will there be in the listening test? IELTS is an international English language test so you might hear a variety of different accents in the recording. You should practice listening to different accents before your test. Yes, it is. If the answer is spelled incorrectly, it will be marked wrong. 34. How can I improve my listening? You can improve by doing IELTS listening practice exercises. 35. How can I improve section 4 of the listening test? Section 4 is a lecture so that means it will be structured. The information will follow a normal pattern which you must try to follow. The speaker will move from point to point. Check your questions to see if they are a new point or examples etc. See the order of information in the questions. You must build speed at preparing the questions for section 4. You must be able to read and prepare all questions in the time given. This is skill you must practice. Immediately underline key words which will help you follow the information coming. You should practice this skill again and again to improve. Always underline or circle the words which will help you locate your place in the listening. Always keep your eye on more than one question at once. If you are listening for question 34, then you must also have your eye on question 35. When I say “keep your eye on” , I mean keep your mind open for the key words in the next question(s). Some key words will be repeated but that doesn’t mean other key words will be. You must learn to identify which are useful key words and which are not. Any word that can’t be paraphrased will be useful to help you find your place in the talk. So, academic words, names, dates etc are all useful and can help you. Listen for signposts. These are words which indicate when the speaker is repeating information, when the speaker is moving on to another point in the talk or just giving examples and details. Signposts are similar to linking devices “Another point to consider is…” or “if we look at the aspect of …”. Pay attention to these words. 36. What does “two words and/or number” mean? It means you can write two words with a number (for example “26 local men”) or you can just have a number. You can also have one word with a number. But you can’t have more than two words with a number. 37. Should I use “the” or “a” with my answer? If you are completing a sentence then you must make sure the sentence is grammatically correct when you fill in the answer. That means you might need to use articles (a / the). However, if you are only writing notes, forms or completing a table, diagram or flowchart, you won’t need to think about grammar. 38. How can I write the time? 9am or 9.00am? IELTS accept all forms of written time: 9AM, 9am, 9.00AM & 9.00am. 39. If I write Northroad instead of North Road, is the answer correct? No, it is wrong. If the answer contains two separate words, then they must be written separately. This is testing your spelling of compound nouns. 40. If I use all capital letters in listening, do I need to do the same for reading? No, for each part of the test, you decide if you want to use capital letters or lower case. This means you can use all capitals for listening and lower case for reading. 41. How long is the IELTS reading test? The reading test is 1 hour in length and it comes directly after your listening test. There is no extra time given to transfer your answers to the answer sheet. 42. How many reading passages are there? There are three reading passages for the academic paper and the general training paper. 43. Does everyone take the same reading test? No, there are two different tests for IELTS reading. One is the academic paper and one is the general training paper. Before your test you will decide which IELTS test you will take and this will affect both your reading and writing papers. 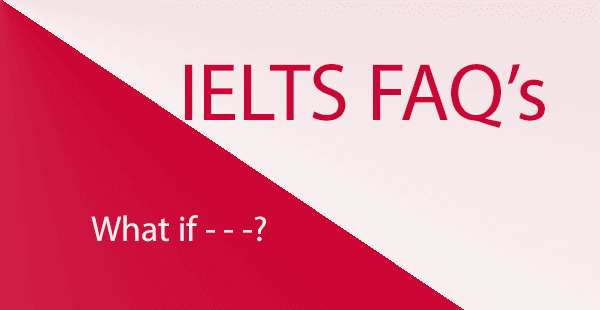 If you don’t know which one you are taking, please follow the link to the IELTS British Council page for information. 44. What kind of reading passages are there for the academic paper? Each passage in the academic reading paper is long. The passages are usually taken from books, magazine and newspapers (they are authentic passages). They can often contain complicated language, academic vocabulary and sometimes diagrams, maps or some kind of illustration. 45. What kind of passages are there for the general training paper? The GT reading paper has three passages, each one getting more difficult. The first one is relevant to everyday English life and could be factual information about a school course or some kind of service, such as a hotel. The second one focuses on work issues, such as training courses at work, resources at work, application procedures or about pay schemes. The last reading passage is longer and is the most difficult. This is based on a topic of general interest. 46. How many questions are there? There are 40 questions in total for your reading test. See example IELTS Reading Test. 47. How are the scores calculated? You get one point for each correct answer. You do not lose points for an incorrect answer. The academic and general training papers have different scoring. 48. Do I lose a point if my answer is wrong? 49. Do I have time to transfer my answers at the end of the reading test? No, there is no extra time for transferring answers. You must write your answers directly on to your answer sheet during the 1 hour. 50. How long should I spend on each passage? It is recommended that you spend 20 minutes on each passage. I agree with this completely. Make sure you keep your eyes on the clock to make sure you manage your time effectively. Don’t leave yourself too little time for passage 3. 51. What types of questions will I get in IELTS reading? There are many different types of questions and you must practice all of them. Here is a link to a page with a list of IELTS reading question types and tips on how to deal with them. It is an essential page to read in your preparation for IELTS reading. 52. Can I write on the reading question paper? 53. Are capital letters important? 54. Can I write all my answers in capital letters on my reading answer sheet? 55. Should I use a pen or pencil? For your reading and listening test, you must use a pencil. so don’t forget to take an eraser with you. However, for writing you can choose either pen or pencil. Yes, it is. If the answer is spelled incorrectly, it will be marked wrong. So pay attention to your spelling of long academic words. 57. Can I write T instead of True for the True False Not Given questions? Yes, it’s possible to write a letter instead of the word True or you can write Y instead of the word Yes. 58. Can I write Y instead of True for the True False Not Given questions? No, you can only write Y for the word Yes. If you write Yes or Y instead of True or T, it will be marked wrong. 59. How can I improve my reading skills? Develop skills of each type of question in reading – focus on just one type of question each day to improve your technique. Develop your speed reading skills – the passages are long and time is limited so you need to build your speed. Develop your ability to scan – IELTS reading is not about understanding everything, it’s about locating answers. Read academic articles on various topics – read the aljazeera, bbc news, the new scientist, the economist etc. Practice – use my practice lessons to improve your techniques and skills. Practice Tests – do practice tests to develop your concentration, test your timing and to know your band score. You should take your practice tests from the IELTS Cambridge books 1-10 because they are real past exam papers. 60. Do all answers come in order? No, only some of the question types have answers which follow the order of information in the passage. You need to learn which ones do and don’t. 61. How can I improve my score for matching headings? There are a number of issues with matching headings. Firstly, you need to identify the main point of the paragraph or section. The main point could be the first sentence, in the middle or at the end of the paragraph. This is testing your ability to see the difference between a main point and supporting points. Secondly, spend time looking more closely at the headings. Think of what they mean, paraphrase the words and spot headings which seem to be similar to each other. Thirdly, you don’t need to approach the headings in order. I recommend you start with a heading which is distinctly different in content to the others – it will be quicker and easier to find. Fourthly, don’t waste time, if you can’t match the heading, then move on to the next heading. There are often more headings than you actually need. Lastly, don’t just try to match key words, try to match meaning. If the heading says “A description of …”, then you need to look for a paragraph which contains adjectives and descriptive language rather than looking for the word “description”. So, don’t just match key words, try to predict the type of language you might find in that paragraph. 62. How many parts to the writing test are there? There are two parts. Writing task 1 is a report or letter and writing task 2 is an essay. 63. How long is the IELTS writing test? It takes a total of 1 hour. You should spend 20 minutes on writing task 1 and 40 minutes on writing task 2. 64. What is the difference between the General Training paper and the Academic Paper? The general training paper is mainly for people who want to migrate to a foreign country. For this paper, students need to write a letter for task 1 and an essay for task 2. The academic paper is mostly for people who want to enter college or university. Most people take this paper. For this paper, students need to write an academic report for task 1 (based on a bar chart or other types of graphs) and an essay for writing task 2. 65. Can I have extra paper for planning and making notes? You should make notes and plan on the question paper before you start writing. You are not usually given extra paper for planning. 66. Should I do writing task 1 or writing task 2 first? It is recommended that you spend the first 20 minutes writing task 1. However, if you choose to start with writing task 2, it is your choice. Do what works best for you. 67. Should I leave a space at the start of a paragraph? No, it is not necessary to do that. It is better to leave one empty line between your paragraphs to help the examiner identify the paragraphs. 68. How many types of task 1 are there? There are many types for the academic IELTS paper. Here are the main types: diagrams, maps, building plans, bar charts, line graphs, pie charts and tables. See IELTS Academic Writing Task 1. It is also possible to get more than one type in your task 1 test. However for the GT paper, you only need to write a letter see sample IELTS GT Writing Task 1. 69. How much is writing task 1 worth? It is worth only one third of your marks for IELTS writing. Task 2 is worth twice as much. 70. What's the difference between the academic paper and the general training paper in task 1? 71. Is the general training task 1 marked the same way as the academic task 1? No, there is a difference between the way one of the four criteria is marked. Task Achievement, which accounts for 25% of your marks, is assessed differently in the general paper and academic paper. 72. Can I take more than 20 minutes to write my task 1? 73. How can I organize the information in my task 1? 74. Do I need to compare and contrast data in each body paragraph? 75. How can I write the introduction? 76. Should I write a conclusion? No, you don’t need a conclusion for writing task 1. 77. How can I score my own writing task 1? It's not easy to grade your own writing. However, you can score if you are industrious. If you can’t find an IELTS teacher to mark your writing, get an English native speaker to check your vocabulary and grammar mistakes. If you have frequent errors, then you know you will get band score 5 or few errors you will get band 7 in each criteria for vocab and grammar. Of course there are other criteria involved for a total band score, but at least you will know your level for two out of four criteria. Practice writing charts that have models attached then compare your writing to the model. Learn and understand which parts you don't understand. 78. Will the examiner check my spelling? 79. Should I put only two key features in my overview? It depends on the chart, some charts have more than two key features so you will need include all of them in the overview. There is no fixed rule about how many key features to have. 80. What is IELTS Writing Task 2? For writing task 2, you must write an essay which is over 250 words and you have 40 mins to do this. IELTS will provide you with the essay question. 81. How long does writing task 2 take? It is recommended to take 40 mins to plan and write your essay. 82. Can I spend more than 40 mins on my essay? You can decide the length of time to spend on your essay but I wouldn’t recommend spending more than 40 mins on it. 83. Should I write task 1 or task 2 first? It is your choice. You can decide which one to do first. Most students do task 1 first and I would recommend that. However, it is your choice. 84. What is the difference between the General Training writing task 2 and the academic task 2? There is little difference. Both the GT writing task 2 and the academic are essays which have similar topics, the same format and techniques. The only difference is that the GT essay question is slightly easier than the academic test. 85. How much is writing task 2 worth? It is worth double the marks of writing task 1. So, make sure you give yourself the full 40 minutes to write your essay. 86. What kind of essays are there in writing task 2? There are a number of different essay types: opinion essays, discussion essays, advantage /disadvantage essays, solution essays and direct question essays. Some teachers give these essay types different names. See the samples IELTS Writing Task 2 . 87. How is writing task 2 scored? It is marked by an examiner who will assess you on 4 criteria: Task Response, Coherence and Cohesion, Vocabulary and Grammar. Each criteria is equal and worth 25% of your task 2 marks. 88. Do I need to give my opinion in the essay? Only give your opinion if the instructions ask for your opinion. For example, Do you agree or disagree? This is clearly asking for your opinion. Don’t give your opinion if it doesn’t ask for it. Read the instructions carefully. Here’s a lesson to help you learn when you should and shouldn’t give your opinion in IELTS writing task 2. 89. How long should my essay be? You must write over 250 words but there is no upper limit. 90. What happens if I write under 250 words? You will receive a penalty from IELTS if you are under the word count. This will affect your band score for the criterion of Task Response. 91. How many paragraphs should I have? You can have either 4 or 5. You must have an introduction and conclusion. You can have either two or three body paragraphs. 92. Do I need a conclusion? Yes, you do. It is vital that you conclude your essay. If you think you are running out of time, then jump to your conclusion. 93. What kinds of topics will I get in writing task 2? There are common topics which appear frequently in the test. Follow this link to see a list of most common topics for writing task 2. 94. Should I write the title of the essay on my answer sheet? No, you shouldn’t. The examiner has the essay title so you do not need to repeat it on your paper. Your first sentence should be the beginning of your essay. Yes, the examiner will check your spelling. It is part of the criterion of vocabulary. Yes, it is. This is part of the grammar marking criterion. Try to avoid using ; or : because they are not necessary. Just use commas and full stops. 97. What's the difference between an IELTS essay and a normal essay? There are quite a lot of differences. Firstly, you’ve got a time limit of only 40 minutes. Secondly, you’ve got a specific word count of over 250 words. Thirdly, IELTS is testing your English grammar and vocabulary – you have to demonstrate particular skills and ability to get a particular band score. Fourthly, there is a particular essay structure and use of linking devices that is recommended to follow. Lastly, you need to get used to the different types of essay questions and how to address the tasks fully to get more marks. So quite a lot of differences really. 98. What's the difference between an opinion essay and an argumentative essay? There’s no difference. Teachers give essays different names. Some teachers call them opinion essays and some teachers call them argumentative essays. They are both essays in which you need to give your opinion because the task states “To what extend do you agree?” or something similar, directly asking what you think. 99. Can I use a pen or a pencil for writing? For IELTS writing, you can choose whether to use a pen or pencil – it’s your choice. 100. Can I get extra writing paper if I run out of space on my answer sheet? Yes, you can. Put your hand up and the exam supervisor will come to you. You can then ask for more writing paper. 101. Can I get the official writing paper to practice with? Yes, you can. Here’s a link to the official IELTS answer sheet for writing task 1 and 2. You should practice writing on it before you test to estimate the number of lines you need to fill in order to complete the word requirement. 102. How many parts are there to the IELTS speaking test? There are 3 parts in. There is an interview, a talk and a discussion with the examiner. See an example of IELTS Speaking Test. 103. How long does the speaking test take? It takes a total of 11 to 14 minutes. Part 1 is 4-5 mins, part 2 is 3-4 mins and part 3 is 4-5 mins. 104. Is the speaking test face to face with an examiner or by computer? Your speaking test will be face to face with an IELTS examiner. There is no option to do your IELTS test by computer. 105. How will the speaking test be marked? You will be marked on fluency, vocabulary, grammar and pronunciation. Each one accounts for 25% of your marks. 106. What kinds of topics will be asked in the speaking test? There are many different topics for each part of the speaking test. Follow the link to get a list of most common topics and questions for IELTS Speaking Test Part 1, IELTS Speaking Test Part 2 and IELTS Speaking Test Part 3. 107. How many questions will I be asked? You will be asked 12 questions in part 1 (these are based on 3 different topics) and in part 3, you will be asked 5 or more questions – it depends on the length of your answers. Try to aim for long, detailed answers in part 3. 108. Why do I need to expand my answers in my speaking test? To get band score 6 and above for the criterion of fluency, you must show the examiner that you are willing to speak at length. This means you are happy to give longer answers. 109. Do I need to talk for 2 minutes in part 2? In part 2, you must talk for between 1 and 2 minutes. I recommended you aim for between 1.5 to 2 mins which will show a good level of fluency and the ability to speak at length. However, if you are not a confident speaker, don’t try to push it too far and just aim for slightly over 1 minute. 110. What happens if I continue talking past 2 mins in speaking part 2? The examiner will control the time very strictly in your test. The examiner will stop you when you reach 2 minutes and then he/she will move on to part 3. 111. Can I choose my topic to talk about in part 2? No, the examiner will give you a topic card which contains a list of prompts. 112. Can I ask the examiner to change the topic is part 2 if I can't talk about it? No, you can’t change the topic. You must try to talk on the topic you are given. 113. Do I need to follow the prompts on the cue card in speaking part 2? No, you don’t have to, it’s not compulsory. However, I recommend that you do follow the prompts because they offer a good structure for your talk. This is part of the criterion of fluency. 114. What's the difference between part 1 and part 3 in the IELTS speaking test? Part 1 is like an interview. The examiner will ask you short answer questions on common topics relating to your life or your country. In part 3, it is more similar to a discussion. The examiner will ask you about world issues or broader, more complex questions. In part 3, your answers should be longer and more detailed. 115. Should I give examples in my answers? Yes, it is very useful to do that, particularly in part 3 when you need to give longer, more detailed answers. 116. What can I do if I don't understand the question? In speaking part 1, you can ask the examiner to repeat the question but the examiner can’t explain it or help you. In part 2, the examiner will give you a topic and you can’t change it. In part 3, you can ask the examiner to explain the question, just say ” I’m sorry could you explain that, please? 117. Will I get a lower score if I ask the examiner to repeat the question? No, it will not affect your score. However, only do this two or three times and no more. 118. What can I do if I don't have any ideas for the answer in part 3? It sometimes happens that you are asked a question for which you have no ideas. Here’s a typical example “How do you think space exploration benefits mankind?” If you get a question but you have no ideas for the answer, you can say “To be honest, I’ve never really thought about it before. I guess there are benefits to space exploration but I can’t say what they are.” This answer is still good. You are still using a range of good language. 119. Does it matter if I have an accent when I talk? No, as long as the examiner can understand clearly. If your accent prevents the examiner from understanding you, it will lower your score drastically. 120. Why did the examiner interrupt my answer? It is possible for the examiner to interrupt your answer and not let you finish. There are three main reasons why this might happen. Firstly, there is a time limit and the examiner must move on to the next question. Secondly, the examiner is satisfied with the language in your answer and wants to move quickly to a new question which tests another part of your English. Thirdly, your answer has gone off topic and the examiner wants to start a new question. So, if the examiner interrupts your answer, don’t worry about it. Just focus on the next question and answer confidently. 121. Can I ask the examiner for his or her opinion? No, this is a language test, the examiner wants to hear your English and your opinions. 122. Should I correct my mistakes when I'm speaking in the test? It is ok to correct some mistakes but make sure it doesn’t affect your fluency. Every time you stop speaking to correct a mistake, it will affect your fluency score. 123. How should I greet the examiner? When you walk into the speaking exam room, the examiner will greeting and do an ID check. Follow this link to learn all about the questions for the ID check and how to greet the examiner. 124. What should I wear for my speaking test? You can wear whatever you want. This is not a formal interview, it is only a speaking test. Wear clothes that you are most comfortable in. 125. What happens if my answer includes the answer to the next question on the examiner's list? The examiner has quite a long list of possible questions and they choose which questions to ask and which not to ask. So if you answer includes the answer to the next question on the examiner’s list, he or she will skip that question and move on to the question after that. So never worry about adding extra information to your answer – it won’t affect the next question. 126. Can I use body language in my speaking test? The examiner is only interested in hearing your English language. It is your choice if you want to use body language or not. Most people find it natural to use body language while talking so feel free to use it. It is important that you are relaxed and talk naturally during your test.